Professional and amateur photographers who cover human rights issues or anti-corruption efforts can apply for this prize. The Allard Prize Photography Competition recognizes photographic excellence reflecting the ideals of the Allard Prize. Entries should focus on themes of courage and leadership in combating corruption, especially through promoting transparency, accountability and the Rule of Law, and of human rights and/or anti-corruption generally. Contestants may submit up to four images. 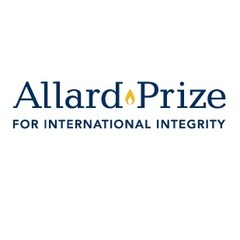 The Allard Prize Committee will select up to six photographs as winners. Each winning entrant will receive CAD1,000 (US$780).